Burkholderia is a genus that falls under the phylum Proteobacteria and consists of more than 40 species. Because of genetic and metabolic diversity in this genus, members of Burkholderia can be found in a wide array of habitats (water, soil, plants etc). While some of the species are pathogenic and can affect both human beings and animals, others have been shown to have various environmental and industrial benefits. Initially, members of Burkholderia were thought to be plant pathogens only. However, new studies have found the species to be considerably versatile (both genetically and metabolically). Whereas species like B. plantarii and B. andropogonis affect plants and cause various plant diseases, others like B. mallei have been associated with animal diseases. Some of the species however can be found in soil as free living bacteria (e.g. B. glathei, B. hospita, B. phenazinium) or in plant roots where they live as diazotrophs (involved in nitrogen fixing). This includes such species as B. xenovorans and B. silvatlantica. Apart from living in a symbiotic relationship with some plants, some members of Burkholderia form a symbiotic relationship with some fungus where the fungal species act as hosts. One of the best example of this is B. fungorum that has been found to form a symbiotic relationship with Phanerochaete chrysosporium. Some of the species, like B. pseudomallei, have also been isolated in water samples. In these water bodies, these species may exist as free living bacteria or affecting plants and animals. While studies have shown Burkholderia to be gram-negative bacilli, more is yet to be understood with regards to their genomics. It is well understood that they possess considerable genetic versatility, which explains their diversity in the environment. Regardless, differentiation of Burkholderia species based on their genomes has been shown to be particularly problematic. For instance, despite being one of the most studied groups, the differentiation of the members of B. cepacia complex is still a big problem today. In particular, this has caused significant problems in the treatment of such conditions as cystic fibrosis due to the difficulty involved in the identification of the species. In such cases, the misidentification of these species has resulted in prolonged treatment using different types of drugs. They are aerobic - As aerobic organisms, members of Burkholderia require oxygen to grow survive in their habitats. As such, they cannot live and grow well in environments that lack oxygen (Oxygen plays an important role in metabolism). 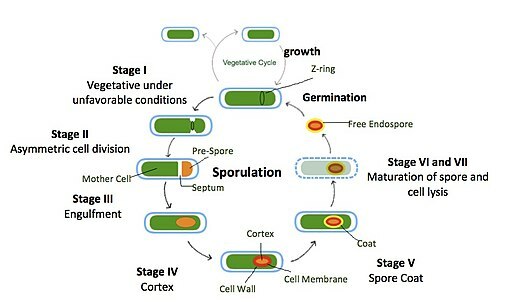 They do not form spores during reproduction. They are gram-negative rods (bacilli) that range between 1 and 5 um in length - More details about the Gram-negative bacilli (Burkholderia) are discussed below. Because they possess one or several flagella, these organisms have motile capabilities - With the exception of B. mallei. They are catalase positive - This means that members of Burkholderia have the enzyme catalase and will test positive in the catalase test. This is an important enzyme for various aerobic organisms that grow in oxygenated environments in that it helps in the neutralization of such oxygen metabolites as hydrogen peroxide (H202) which can be toxic to the organisms. Using this enzyme, Burkholderia species are capable of breaking down such metabolites into harmless constituents such as oxygen and water. A majority of the species do not cause fermentation when cultured in MacConkey agar. As such, they do not break down various organic matter to produce alcohol as one of the by-products. 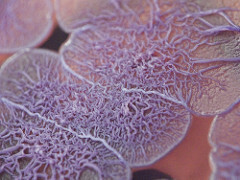 by user: mountainamoeba on Flickr.com Burkholderia thailandensis on Ashdown's media, published on January 27, 2009. No changes to image. 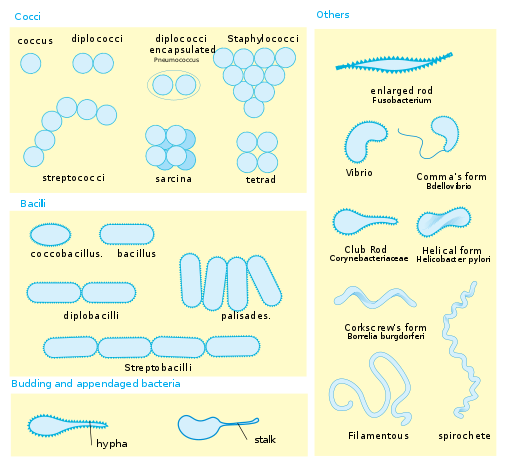 Burkholderia cepacia complex (simply B. cepacia or BCC) are a group of closely related bacteria that can be found in the environment. While they are found in the natural environment, members of this group can cause opportunistic infections (infecting patients' airways) particularly among patients with cystic fibrosis (CF). In children with compromised immune system, BCC has been shown to also cause nosocomical pneumonia, which is a serious condition that requires medical attention to avoid health complications later in life. According to research studies, members of this group have been shown to only cause infections in about 3.5 percent of patients with cystic fibrosis across the world. However, the problems associated with identification of the particular organisms causing the infection as well as the rapid decline of the health of those affected represents a significant problem in treating many of these patients. For some of the species that have already been identified (such as Pseudomonas aeruginosa) their virulence and means of transmission have been shown to significantly vary, which also aggravates treatment. BCC infection among patients with cystic Fibrosis may result in cepacia syndrome. Cepacia syndrome is also known as necrotizing pneumonia and bacteremia and is characterized by high fever, bronchopneumonia as well as dramatic weight loss. The combination of the progressive fever and complicated bronchopneumonia has been associated with the death of patients in some cases. Various strains of BCC (e.g. ET12 strain of B. cenocepacia) can be transmitted from one patient to another – They can be transmitted through direct contact: Kissing, touching surfaces with the strains etc. * While BCC infections of healthy adults and children are rare, it has been shown to affect about 2 percent of healthy people across the world mostly affecting the pharynx. * It is worth noting that members of B. cepacia complex are naturally found in the environment. As such, they only cause opportunistic infections among those with compromised immunity. * Apart from affecting human beings, some members of this group (particularly cepacia ) have also been shown to affect such plants as onions. In onions, the pathogen causes a diseases known as Sour skin characterized by a slimy, pale decay of the onion skin and other parts of the onion. Onion infections can significantly affect farmers resulting in as much as 50 percent loses. BCC isolates are capable of adapting to a number of environments, which allows them to cause opportunistic infections among those with compromised immunity. For instance, they can survive living inside and outside the cells of the host (intracellular and extracellular). On the other hand, they can survive such unfavorable conditions including the presence of toxic substances and reduced amounts of food sources. This has made it possible for some of these organisms to be resistant to various antibiotics. The synthesis and production of such compounds as extracellular protease has also been shown to be an important virulence factor for BCC. In addition to causing damage to cells, these compounds have been shown to contribute to bacterial interactions in the lung tissue of patients. Here, the compounds have been shown to play an important role of signaling other species in the group resulting in further infections. 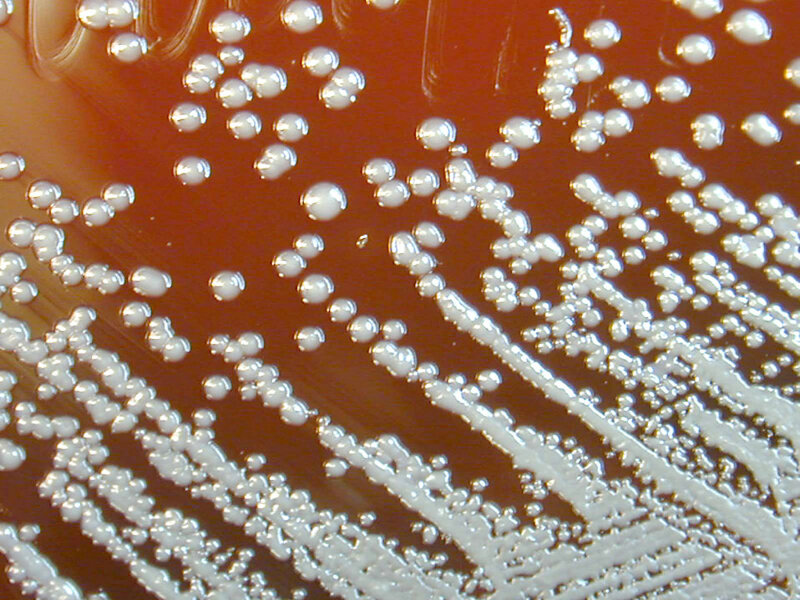 Depending on the species, there are a number of techniques that can be used to culture Burkholderia. Here, culture technique involving the use of BCSA will be discussed. * Make sure to flame the wire-loop with each inoculation. This ensures that the wire-loop remains sterile while preventing the remaining sample from being contaminated. Observation of the plates after 48 hours may reveal colonies that are green-brown in color. A yellow color may be observed in plates where fermentation may have occurred. 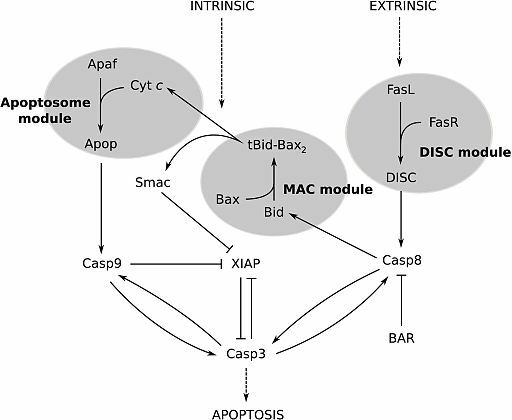 The components of the medium (BCSA) play an important role in the culture of the organism. For instance, whereas the lactose and sucrose allow for fermentation to occur (thus producing a yellow color if the organism is a fermenter), crystal violet is used to prevent gram positive organisms from growing in the medium. On the other hand, such components as Polymyxin destroy various aerobic bacilli thus only allowing the desired organism (Burkholderia cepacia) to grow. * For positive confirmation purposes (of B. cepacia and its strains) polymerase chain reaction (PCR) is used. Gram staining is one of the techniques used for the purposes of screening the presence of the bacteria in a sample. Under both light and electron microscopes, Burkholderia species appear as pink/purplish bacilli (rods). Biological control agent - While it has been shown to be a human pathogen, B. cepacia has also been shown to be beneficial as a biological control agent against such plant pathogens as Colletotrichum gloeosporioides. In such cases, the bacteria infects and destroys the fungus thus protecting vulnerable plants. Such species as B. mimosarum and B. phymatum are known to be nodulating species and play an important role in nitrogen fixation. This symbiotic relationship with leguminous plants is beneficial for plant growth. Alison H. Holmes ,John Govan, and Richard Goldstein. Agricultural Use of Burkholderia (Pseudomonas) cepacia: A Threat to Human Health? Volume 4, Number 2—June 1998. K. Howard and T. J. J. Inglis. Novel Selective Medium for Isolation of Burkholderia pseudomallei. J Clin Microbiol. 2003 Jul; 41(7): 3312–3316. Mirna Binti Nasir. Isolation and Identification Of Burkholderia Species From Water Samples . 2015. Tom Coenye and Peter A Vandamme. Burkholderia: Molecular Microbiology and Genomics. Originally published: 2007.